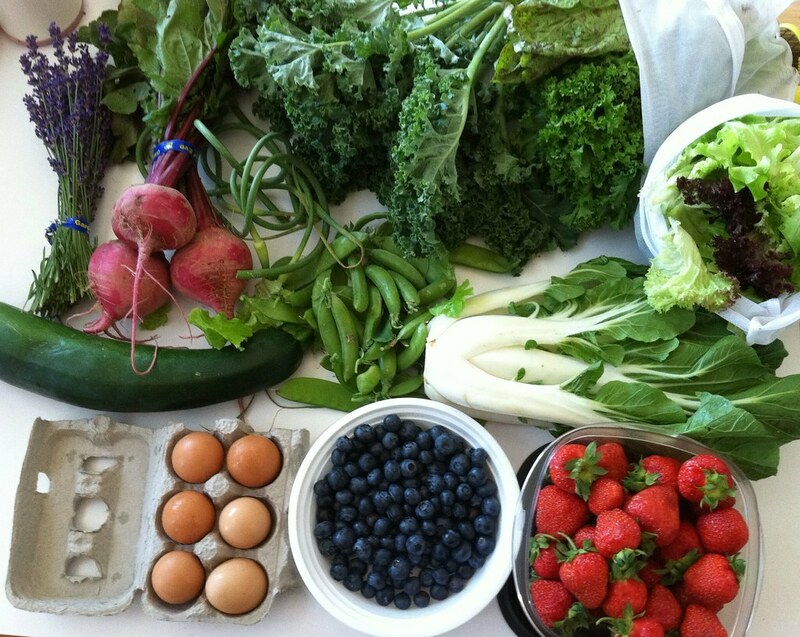 CSA Spring Pickup #2 – ugly food tastes better. Second Pickup of the season and lookin’ good! Beside myself excited for the zucchini, i love it so much and its SO GOOD from the farm. D and I are gonna make “pasta” with it me thinks. More radish top pesto is definitely in order, since I think I might be addicted to it. The eggs and a garlic scape were scrambled with leeks and some turkey ham this morning and eaten with a handful of each of the fruits. I’d show you, but I inhaled it. Haha. Besides some good salads, I think the balance of this share is going to go in to a delicious Asian stir-fry! Stay tuned! What a beautiful picture and a gorgeous haul! Are you going to try cooking with the lavender? I’m definitely regretting only doing a half share this year! Everything looks great, and can’t wait to see what’s on the list next week. P.S. You can roll goat cheese in the lavender, it tastes amazing!